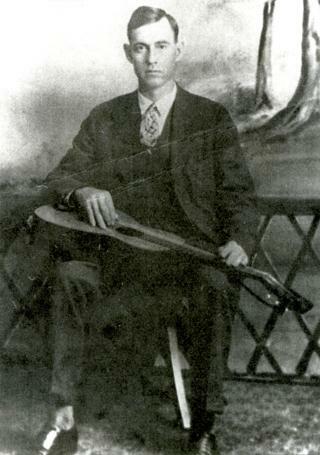 Musician Frank Hutchison was born in Raleigh County on March 20, 1897. As a child, he moved to Logan County, where he encountered blacks who had migrated from the Deep South to work in the southern West Virginia coalfields. After listening to the music all around him, Hutchison started merging the blues with traditional Appalachian mountain music. He also developed a distinct style, featuring his slide guitar and high-pitched vocals. Hutchison recorded some 32 numbers between 1926 and 1929. Although he never achieved much popularity during his lifetime, his blending of the blues and mountain music became a major influence on country musicians of the 1950s as well as a young Bob Dylan. Frank Hutchison died in 1945 in Dayton, Ohio, at age 48.